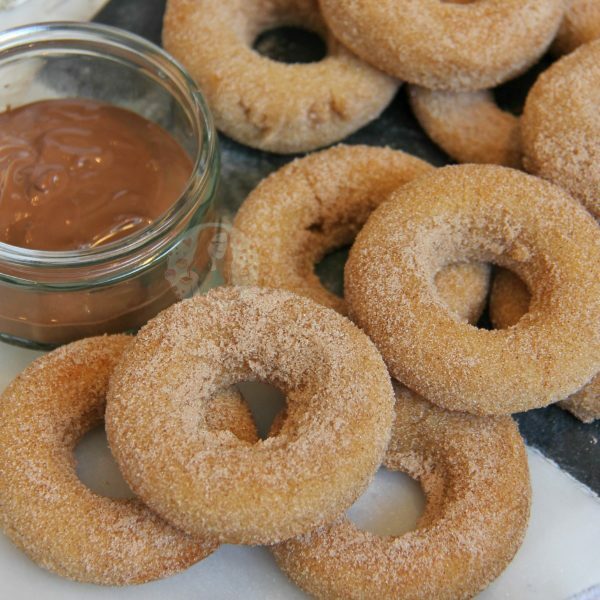 Delicious, Sweet, Cinnamon Doughnuts perfect for a little treat. 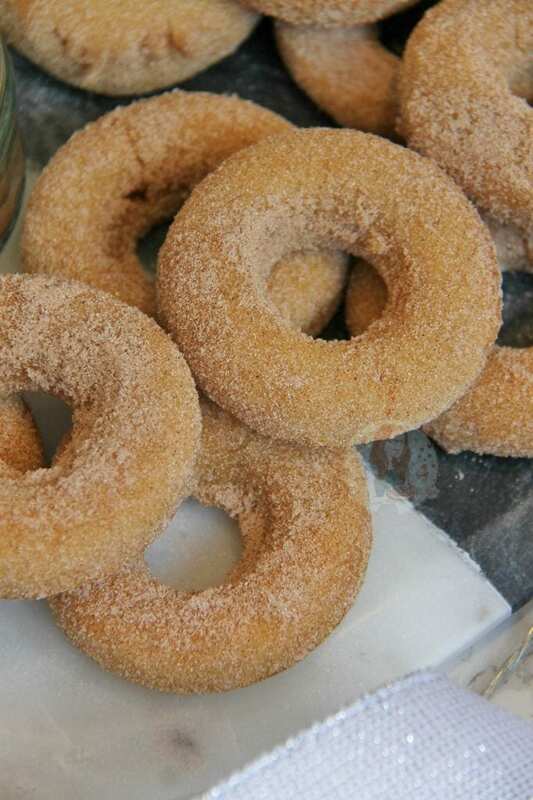 Baked rather than Fried, with a Cinnamon Sugar Coating! So I always ask or recipe suggestions as I have my own ideas, but then sometimes I like to do exactly what you guys want. One thing that has been mentioned quite a few times, is doughnuts (or donuts for those who spell it that way!). I have always been a doughnut fanatic, and I will eat FAR TOO MANY of them when I’m given them, so I thought if I baked them… they might be ever so slightly healthier? This is of course me just making excuses, but honestly? They’re so delicious it might be true. I went for a baked doughnut, as not everyone has the ability to be able to fry doughnuts in their home, and some people just don’t want to use that much oil. When frying doughnuts in oil, you don’t actually end up consuming oil, but I get that its just not that appealing to some people! Therefore, baking them makes them easier, lighter, and delicious so I hope you guys like this version. 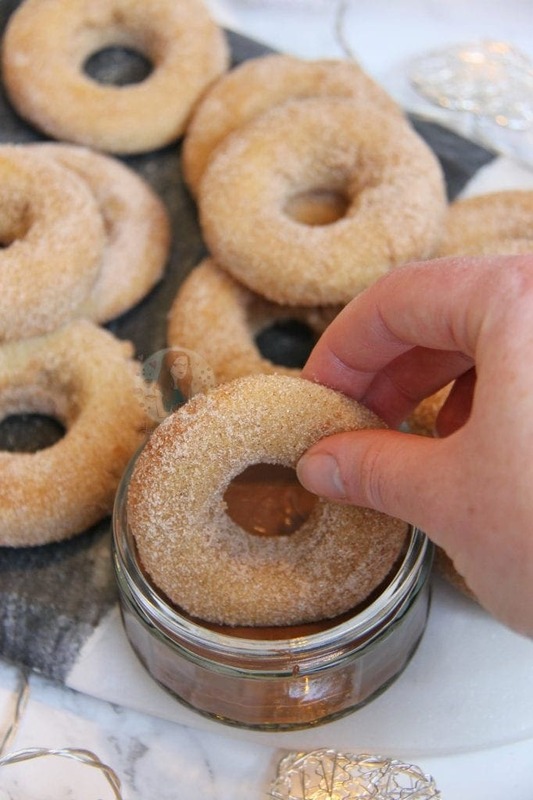 I used a Mini Doughnut Mould for this recipe as its the perfect size for baking in the oven. I call them mini as they are smaller than the standard doughnut you would buy in the shop – but they’re not THAT mini. They’re still a decent serving size! I went for a Cinnamon theme as well so that you all can start getting into the Christmas spirit with me, as it is November now after all. You can swap it about, and even use a Ginger flavour for example.. but cinnamon works so well. I often treat myself to a fresh pretzel when I find somewhere selling them, and I ALWAYS get the cinnamon sugar coating as its just dreamy. Preheat your oven to 180C/170C Fan. In a separate bowl, whisk together the Plain Flour, Baking Powder, Cinnamon and Salt. In cup/bowl, whisk together the milk and vanilla. Add half of the flour mixture and half of the milk mixture and beat till smooth. Add in the other halves of both mixtures and beat again till its all combined. Using a large disposable piping bag, add all of your mixture. 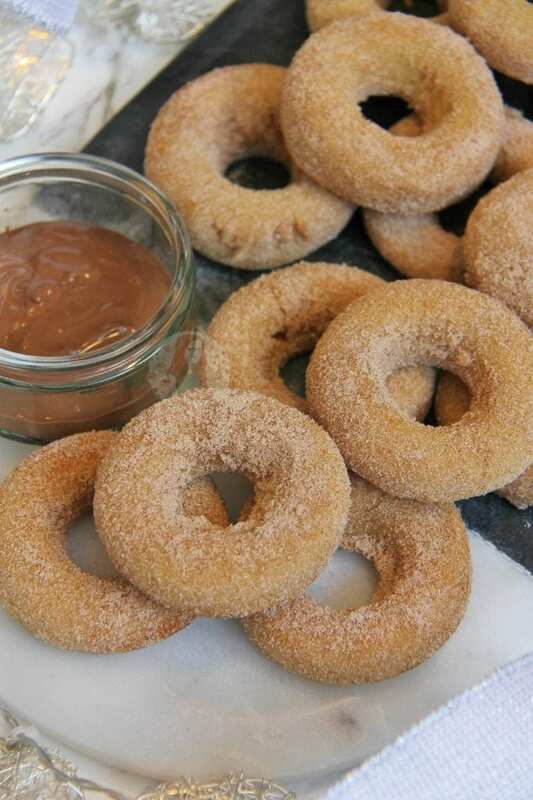 Grease your Mini Doughnut Moulds! Pipe the mixture into the moulds. You want the mixture to be level (or very slightly below) with the middle bit of the doughnut in the mould so that it doesn’t overflow during baking. Bake the doughnuts in the oven for 10-13 minutes. They should be solid in colour, and not baking a bubbly sound. Once baked, take out the oven and turn the moulds upside down onto a tray for two minutes. 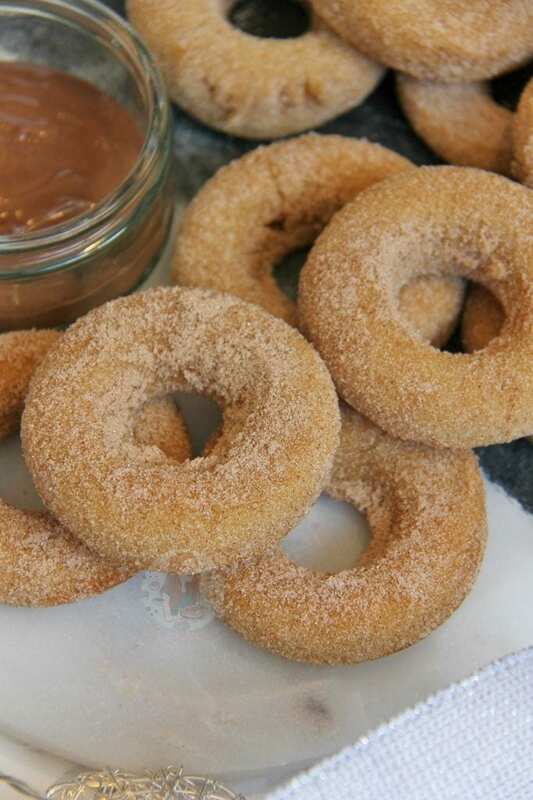 In a separate bowl, whisk together the Caster Sugar and the Cinnamon for the sugar coating. 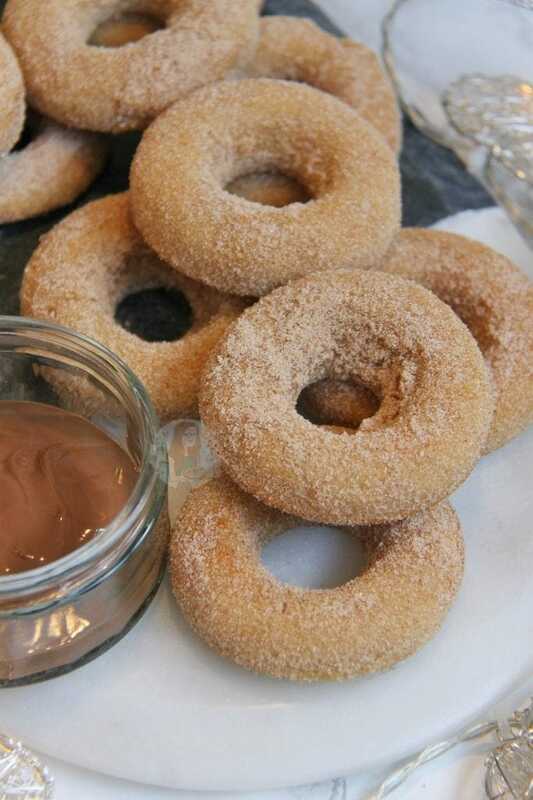 Once the doughnuts having been cooling upside down for two minutes, carefully remove the doughnuts (without burning yourself) from the Mini Doughnut Moulds, and toss each one in the Cinnamon Sugar and leave to cool on another tray. Some Doughnut Moulds are different shapes and sizes – so keep an eye on the Doughnuts after 10 minutes. Also, how much people will put in each mould also varies – practice with time and you will perfect the amount to use in each one! I bought my Mini Doughnut Moulds on Amazon! You could dip the doughnuts in Chocolate if you want, but as they’re so light and soft you have to be careful when doing it! I often just serve mine with a dipping pot of chocolate instead! You don’t have to use Cinnamon if you don’t want to, or you could use a different spice, but I adore these as they are in the recipe! This recipe was adapted and altered from a recipe on All Recipes. These will last for 2-3 days at room temperature, but are best on the day of baking! Find my other Recipes on my Recipes Page! This post may contain affiliate links. This means I earn a small commission from sales through that link that contribute towards the running of this website. Older Next post: Ghost Cupcakes! Newer Previous post: My Blog’s 3rd Birthday! how i keep the doughnut fluffy after baking? how to store it after baking? These look awesome, thanks for the recipe! How long will they last for in an airtight container? These look amazing! 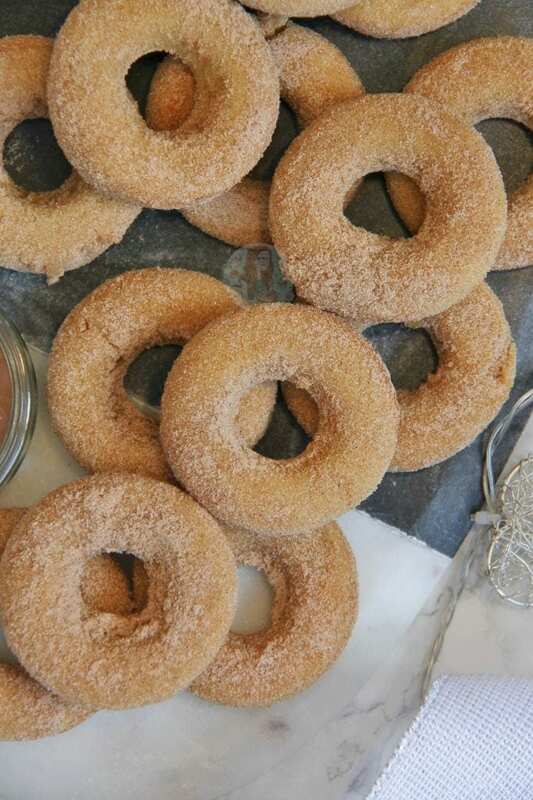 Anything cinnamon is a weakness for me but now you have it in doughnut form I am so excited to try this recipe!